The holiday makers were travelling in the SUV. Photo: IPSS Medical Rescue. A Mtunzini resident was returning from a funeral when she was killed in the accident. 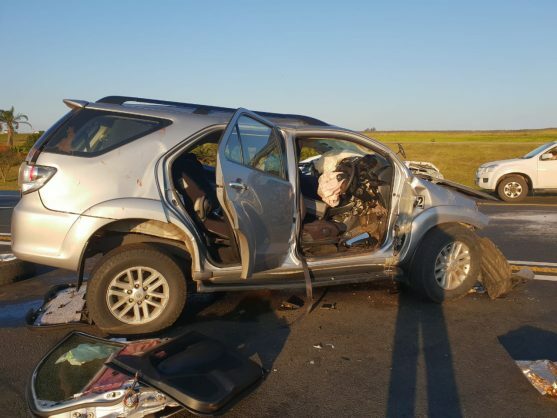 A UK mother and her daughter who were killed in a horrific head-on collision on the N2 near Zinkwazi on Friday were related to Queen Elizabeth, The Sun reports. According to the UK newspaper, the Sword family of Lurgashall, West Sussex, were returning from a family safari trip when a Mercedes hit them head on. Tabitha, 13, was declared dead on arrival of paramedics, while Louise, 53, died in hospital. The Mercedes belonging to a well known Mtunzini woman. Photo: IPSS Medical Rescue. 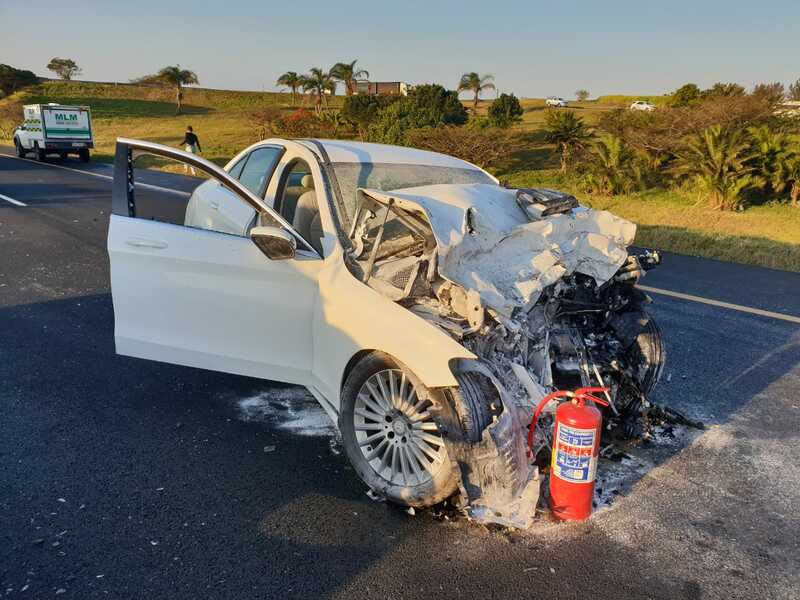 The driver of the Mercedes, well-known Mtunzini resident Elomi Lourens, 82, was also killed in the accident, according to the North Coast Courier. Lourens was returning home from a funeral in Estcourt when she was killed in the accident. Reports from the scene suggest a vehicle may have stopped in the fast lane, resulting in the collision. Louise’s husband Alistair, 53, and son Benjamin, 11, were both cut free from their wrecked SUV. 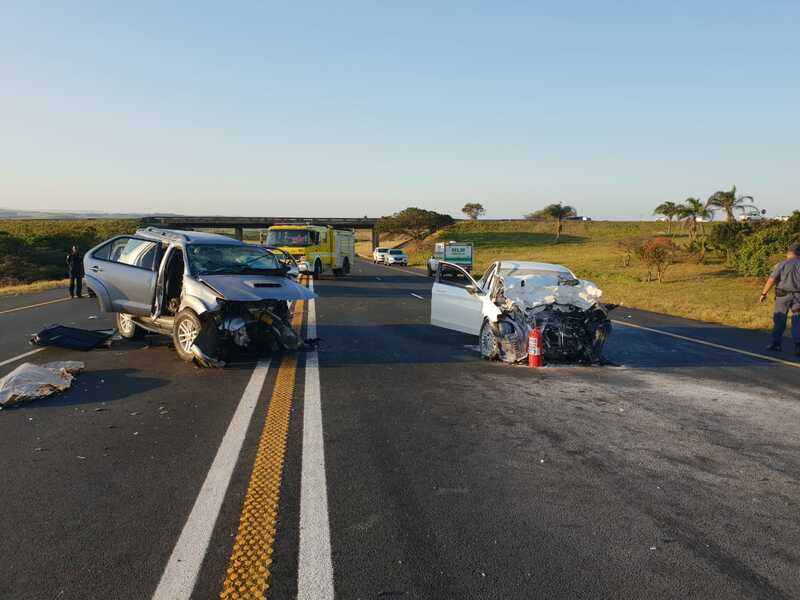 “The remaining two holidaymakers and the driver of the SUV are in a critical condition,” said Dylan Meyrick of IPSS Medical Rescue while at the scene. Two aeromedical helicopters were used to transport the injured to hospital. Louise’s brother Tim Taylor, 55, is married to the queen’s cousin Lady Helen Taylor, who runs a gallery opposite the exclusive Connaught Hotel near Hyde Park. Louise formerly ran a trouser boutique at her home. Relatives are believed to have arrived in Durban on Friday.